Does the name Mor Shapiro ring a bell? Well, if it doesn’t then, Ben Shapiro certainly will. The American political commentator and attorney Ben Shapiro have been in the limelight for a long time following his undiluted and top-notch views on the American political system. Notably, Ben is an avid supporter of President Trump. He stepped into the spotlight when he was seventeen; at the time, he appeared as the youngest nationally syndicated columnist. He has been associated with several media agencies including Newsweek, The Daily Wire, and Breitbart News. In addition to being a political analyst, Ben Shapiro is also an acclaimed author and has written several books including Bad Hair and Botox on the Road to the White House, and How Universities Indoctrinate America’s Youth, just to mention a few. While he has been enjoying the glamour of the limelight, little is known about his gorgeous wife Mor Shapiro. 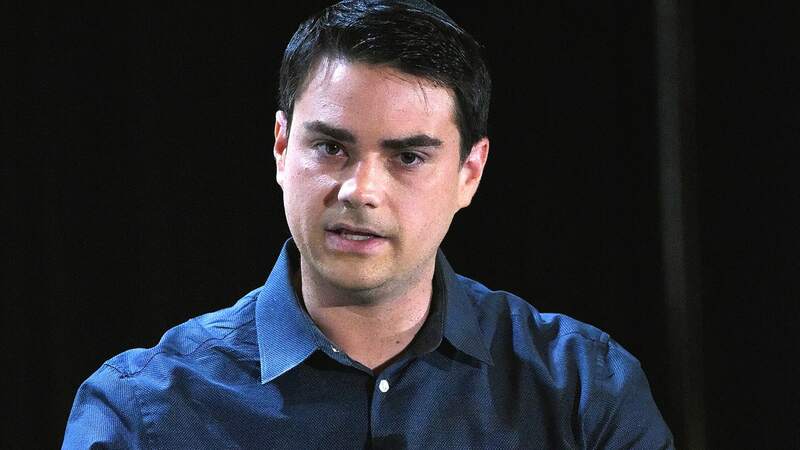 Who is Mor Shapiro (Ben Shapiro’s Wife)? Mor Shapiro is an American medical expert, famously known as the wife of the popular political commentator Ben Shapiro. Interestingly, Mor isn’t utterly dependent on her husband’s fame, she is also a career-woman herself and has established herself in her chosen career path. Mor is a very private person who enjoys keeping a low profile. However, her marriage to the famous political commentator was able to catapult the gorgeous lady into the limelight. Ben Shapiro’s spouse was born as Mor Toledano in Israel. Her exact birth date is not known but she stepped into this world in 1988. Mor spent her childhood days in Israel where she was raised by her parents. Being a private person, Mor hasn’t shared much information with regards to her parents, early life, and background. The much we could gather is that she possesses Israeli nationality while she is of Moroccan ethnic background. When she was twelve years old, she moved to the United States to further her education. Ben Shapiro’s wife is indeed a beautiful lady crowned with brains. On her arrival to the United States, Mor settled in Sacramento, California. There she received a quality education which has paid off, as we can see in her career today. She first attended the University of California, Los Angeles where she got a degree in psychobiology. After her graduation, Mor opted to study further which led her to attend the David Geffen School of medicine. During her days in the medical school, Mor Shapiro worked as a Clinical Skills Instructor. Today, she has established herself as a qualified medical doctor and is currently working with Kaiser Foundation Hospital situated in Fontana area of California. She has her main focus on behavioural health, women’s health, and resident education, among others. The charming lady caught the attention of the famous political analyst and commentator Ben Shapiro many years ago. The duo tied the knot in 2008, after a successful relationship. At the time of their marriage, Mor was just 20 years old and their wedding was held in her home country Israel. The ceremony was held in a core Jewish tradition which involves the breaking of glass after the exchange of marital vows. Interestingly, Ben’s dad wrote the processional song which left all the attendees very emotional. The couple has continued to live happily ever after, they have been married for over a decade and counting. Soon after their wedding, the amazing couple welcomed their first bundle of joy, a daughter named Leeya Shapiro in 2014. Sadly, when Leeya was one and a half year old, she was diagnosed with a congenital heart disorder (Atrial Septal Defect – ASD), which led to an open heart surgery in 2015. The surgery took place at the Los Angeles Children’s Hospital where Jimmy Kimmel’s son also had the same procedure. Two years later, Ben and Mor Shapiro welcomed yet another child, this time, it’s a son. Interestingly, he was born without any health issues. They have been living together peacefully without any sign of marital issues or divorce. It is already known that Ben Shapiro’s wife is a medical doctor; despite the amount of time she puts into her profession, she’s got an interesting personal life. When she is not working, Mor enjoys spending her free time with family and friends. Not just that, she is equally a film lover, Game of Thrones to be precise, she is also a talented singer. Mor was part of an Accapella group during her medical school; until now, she never stopped singing. In addition, she loves arts and craft as well as vacationing at exotic places around the world.